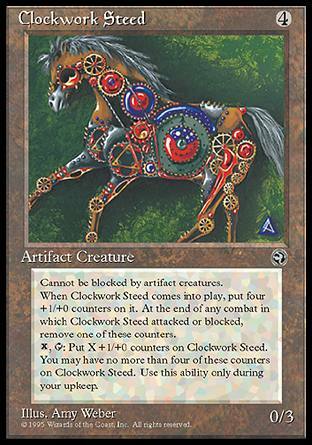 Put up to X 10 counters on Clockwork Steed. This ability cant cause the total number of 10 counters on Clockwork Steed to be greater than four. Activate this ability only during your upkeep.